ComScore has released some new statistics this week, that show just how big a reach YouTube has in the U.S. We all know YouTube is a massive site but these figures show just how big it is when compared to other similar services. View the statistics after the jump. 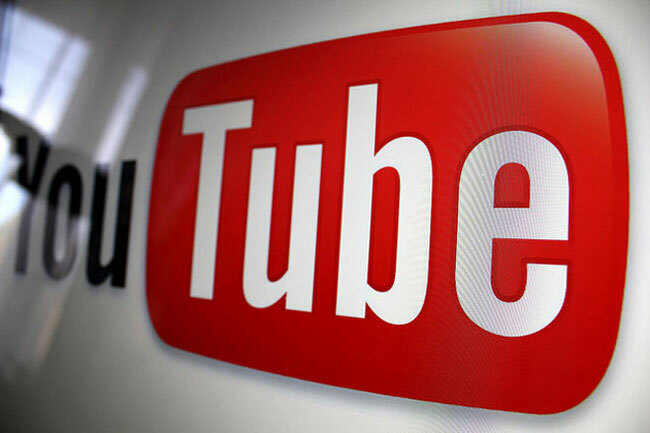 YouTube accounts for 49.1% of all videos watched on the web in the US. 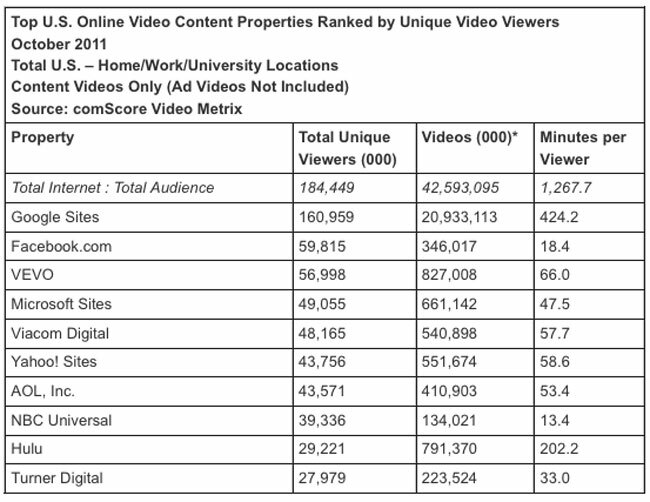 In total, 42.6 billion videos were viewed that month, revealing that 20.9 billion were served up by Google. In a distant second place is VEVO with 827 million and Hulu in third with 791 million. Facebook is even eclipsed by the massive amount of unique views YouTube is generating. With Facebook achieving 60 million and YouTube a massive 161 million in just the month of October 2011.